As strange as it might seem, a tiny island in the Mediterranean could become the ultimate green territory. Tilos, with a population of just 500, is playing a leading role in an award-winning European research project. It is aiming to meet at least 75% of its energy needs with just renewables: solar and wind power. Julian Lopez Gomez and the Futuris team travelled to the remote island to meet the researchers who are working to make that dream a reality. “The system being installed can provide maximum power of around 1,000 kilowatts; that’s 1 megawatt,” explained mechanical engineer John K. Kaldellis of Piraeus University of Applied Sciences. The main challenge for researchers was to build a polyvalent, resilient storage system for the power generated, which is heavily dependent on wind and sun availability. Scientists opted for special Sodium-Nickel batteries. “These batteries can work no matter whether it is very cold or very hot outside,” said electrical engineer Marco Todeschini of specialist firm FZSONICK, which is heavily involved in the project. Solar panels are placed some kilometres away from the aeolian park. Energy generated from both places will be centralised in a hybrid station and distributed for its later use. “The complete platform that we envision consists firstly of a hybrid station that will receive the power generated,” said project coordinator Dimitrios Zafirakis. “Then there is a central intelligent station that we call SCADA. It will coordinate the energy transfer in a very smart way, securing the balance between production and demand at any time. “Then the power will be distributed to homes and other buildings with the help of smart meters,” explained Zafirakis, an energy engineer with the Technological Educational Institute of Piraeus. refugee camp in which some 45 refugees from several Syrian families have been living since 2016. Tilos has also been hailed as ‘an example to the world’ for the warm welcome it has offered to those fleeing conflict. Electricity for cooking, heating and school activities should soon be provided by the platform. “This particular device for controlling power has a ‘special smartness’. It protects the system and electrical devices of houses and other buildings, in case of a power surge after a blackout,” said mechanical engineer Christos Pronios of Eurosol which is playing its part in the renewable energy revolution. 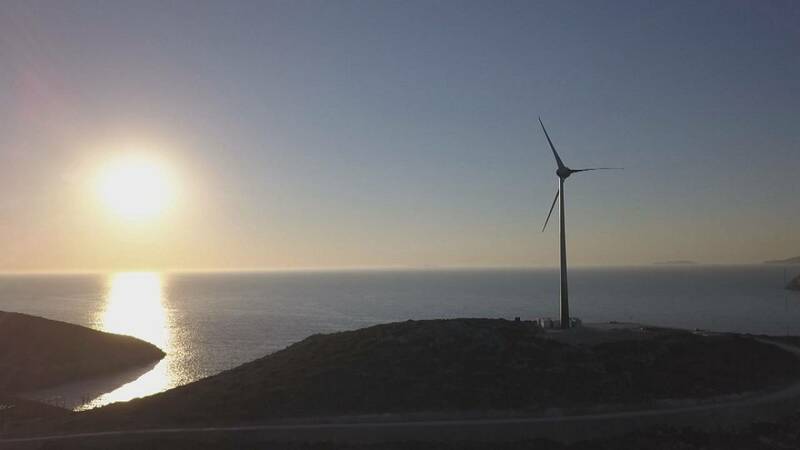 Researchers hope that Tilos will even be able to export power to the neighbouring island of Kos. The whole system, scientists say, should be operational by 2018.